If you are someone who makes purchases online and are concerned about the safety and security of your money, you may want to rethink your purchase if it involves using traditional payment methods, such as PayPal or credit card. Recently, PayPal has made a lot of people upset with the way they handle security breaches, not to mention their rising transaction fees, which inconvenience businesses and eBay sellers. If you are concerned about these issues, too, it might be time to start looking at other options, like Bitcoin. 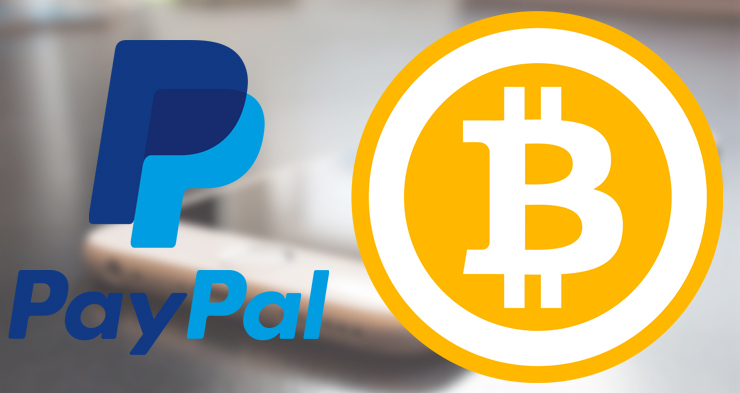 Here’s a few reasons why Bitcoin should be the preferred payment over PayPal. Unlike PayPal, Bitcoin purchases aren’t cataloged and stored forever to be analyzed by major institutions and government. Your purchase history can be abused by virtually anyone, from civil engineers to credit companies and banks. Using PayPal to pay online is bad for business you purchase from. The processing fees are high and they eat into their profits, so you’re essentially giving away your money to undeserving payment processing companies, not the business whom you are supporting. In case you haven’t noticed, Bitcoin is becoming more prevalent and more widely-accepted around the world. This is due for many reasons, among those mentioned above. Bitcoin has no central “banks” that can be targeted by their competitors (banks, lenders, governments), therefor it cannot be compromised or taken down. Transactions cannot be traced back to you, it is possible to achieve 100% anonymity with little effort. This protection is vital for those who live in a highly-monitored and corrupt society. Bitcoin is the fastest way to pay, payments are processed in seconds and there is no risk of getting chargebacks, unlike PayPal. Your money is safe in a Bitcoin wallet. It cannot be hacked, stolen by viruses, malware, or out of your hands. Only you can access your Bitcoin wallet. Transferring funds is quick, easy, and transaction fees are insignificant when compared to other services. Right now, Bitcoin still eludes many people’s ideas of just what it is, but this is only because of how new it is, not that it is a “special” currency that only works for certain online places. You can purchase a car with Bitcoin, order food, and more. This is because it’s easy to setup payments and transactions for businesses, once they understand that it can be used just like any other currency. Bitcoin is often tied with shady, underground business or criminal operations, partly because it is known to provide anonymous protection. This says nothing negative about the legitimacy currency itself, as cash is and will always be the preferred method of money laundering and illegal activities, considering the need for destitute populous to exist. Finally, we must dispel the myth that Bitcoins are hard to acquire in the first place. In some places throughout the country, there are actual ATM machines that dispense Bitcoins, some of them right by your standard bank ATM. Otherwise, you may use services like Coinbase to convert your cash into Bitcoin in just a few easy steps. Once you have your own Bitcoin wallet, you are then able to make payments and transfer money through simple email or SMS text message all with complete safety and security! These are some of the reasons why Bitcoin is the best online currency of the future, not PayPal.